Family businesses are planning today to protect tomorrow’s businesses from disruption. The focus on long-term strategy and agility to respond sets family businesses apart from non-family counterparts. Trusted advisor to entrepreneurial family businesses looking to create sustainable growth and competitive advantage across generations. Loves travel and wine, particularly at the same time. As EY Americas Family Business Leader, Carrie leads the EY family business network comprised of professionals throughout North, Central and South America, responsible for providing a broad range of services to family business clients. Working closely with other country leaders across the globe, she helps provide a fully integrated approach for both the family and the business, wherever they may reside. She is a trusted advisor and has been published in national and global publications including The Wall Street Journal, New York Times, Harvard Business Review, Fortune and Financial Times. 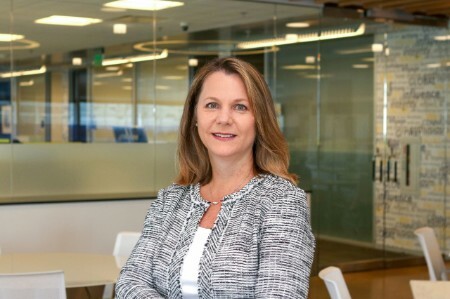 As an Assurance Partner, she has more than 30 years of experience serving family businesses as well as coordinating services for a variety of other public and private clients across multiple industries. She received a BS in Accountancy from the University of Central Florida and a certificate in Family Business Advising from The Family Firm Institute. “I work with business-owning families holistically to help their objectives, strategies and structures promote the sustainability of the business – no matter the disruptive forces – while at the same time focusing on strengthening the family, fostering the cohesion of its members and maintaining its legacy.